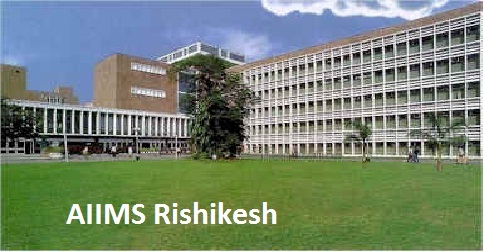 All India Institute of Medical Sciences Rishikesh Recruitment Notification 2018.AIIMS Rishikesh inviting applications for the positions of Nursing Officer, Technician & PA.Interested and Eligible candidates can apply for the positions. Degree/ Diploma/BSc holders in respective discipline can apply for above mentioned posts. Applicants age for nursing officer, office assistant post is in between 21 to 30 years. For personal assistant and private secretary is in between 18 to 30 years. For Senior programmer the maximum age is 50 years, for technical officer is 40 years. For remaining posts applicants age can be in between 21 to 35 years. Selected candidates for remaining posts to will get pay in between Rs.9300-34800/- and Grade pay allowances. 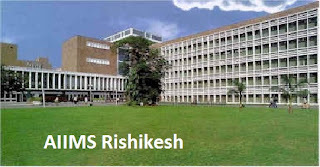 Mode of applying for AIIMS Rishikesh recruitment is through online mode from 27th August 2018 to 14th September 2018.
http://www.aiimsrishikesh.edu.in/recruitments.php is the link for applicants to apply directly.